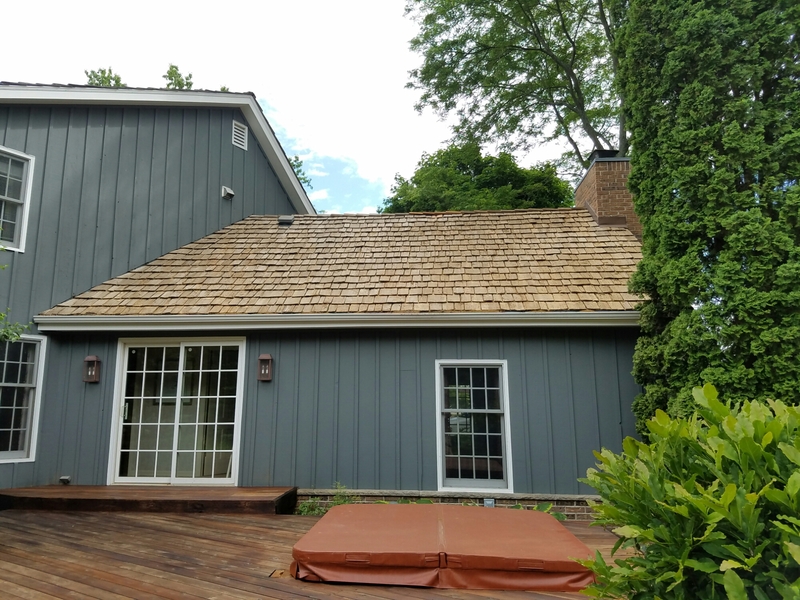 Cedar roof restoration, Mequon WI. Cedar roof cleaning and Restoration is one of our main services because of its importance in the life of the roof. When cedar shakes start to grow moss and and other growths it will start to decay the roof from the constant moisture in the cedar shakes. It is important to have them cleaned and checked over every 3-5 years to stay on top of any needed Maintenance before it becomes a very expensive problem. If you have a cedar roof and are looking for information or a free survey and estimate on what it would take to restore your roof please give me a call or email. 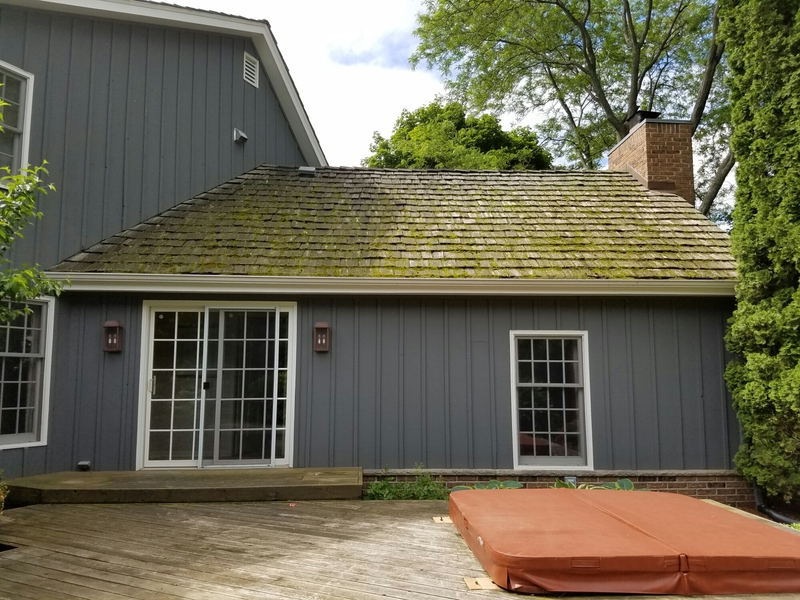 Previous Previous post: Roof cleaning, Kenosha Wisconsin.